The recent open Letter by former President Olusegun Obasanjo to President Muhammadu Buhari to decline seeking reelection next year is all politics, National Leader of the ruling All Progressives Congress (APC), Asiwaju Bola Tinubu, declared yesterday. Tinubu told reporters in Owerri,Imo State ,that Obasanjo could have conveyed his opinion to Buhari privately. The former Lagos State governor, in company with the pioneer National Chairman of the APC, Chief Bisi Akande, was in the Imo State capital on his way to Awka, Anambra State, to attend the funeral of Second Republic Vice President Alex Ekwueme. He also said the APC would respond at the appropriate time to the emergence of the Coalition for Nigeria being promoted by Obasanjo. 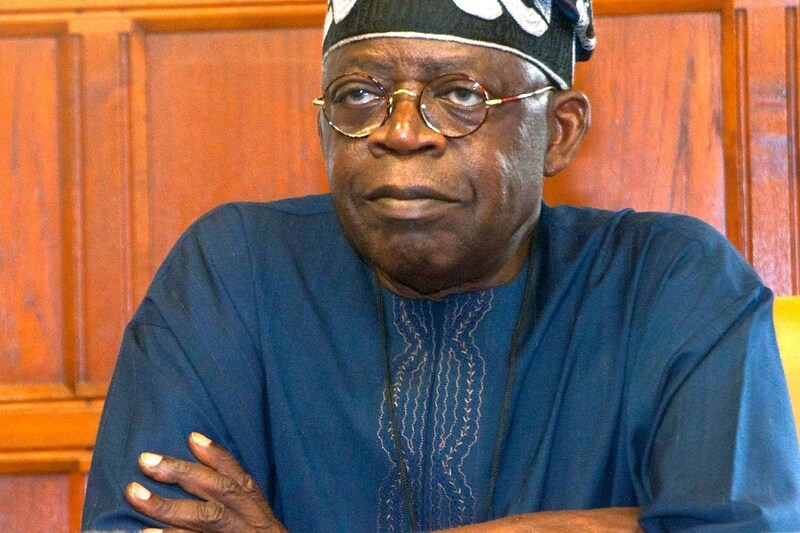 Tinubu said Obasanjo ought to have exploited a better way of communicating his observations about the Buhari administration other than his open letter if he was not politically motivated. He said: ” I think Obasanjo was playing politics with his public letter. That’s all I see. “He could have used other means; he met him (Buhari) in the AU (Africa Union) too. “He has a way of discussing privately, but the letter is being responded to by the government. “Obasanjo wrote it about the government. It is a very good awareness on his part and they are both (Obasanjo and Buhari) from the same background. The APC leader then said jokingly that the letter was not written to him. The APC, he said, would respond to the emergence of the coalition at the “appropriate time ” . His words: “The appropriate time is not now for response on the Coalition Movement but we are in a democracy. On the reason for his visit, he said: “The governor (Rochas Okorocha) is a very good friend and the government that is here is our government, the APC government.